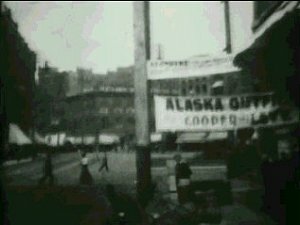 This 25-second film was shot on the streets of Seattle, WA, sometime between 6-9 August 1897, during the excitement of the miners heading off to the Klondike gold rush.  Seattle, King County: 1st Avenue. 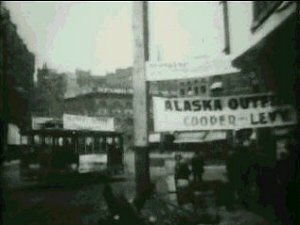 I can't yet pinpoint exactly where this is on 1st Avenue, but it looks like it may have been near Yesler Way or Cherry Street.